Do you dream of a picturesque landscape that stands out as the best one on the block? Just any landscape contractor won’t do. 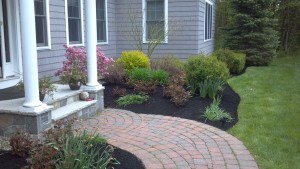 You need a landscaper with a lot of experience and knowledge. That is exactly who we are. Here at Phipps Landscape, we have established strong traditions in the field. The business is family owned and operated since 1976. We are second generation professionals and we have become true masters of our craft. 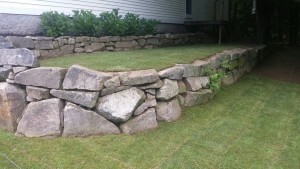 Our workmanship and talent is unmatched in all of Rollinsford, NH. Don’t waste your time and money on any other inexperienced company. We have the skills and knowledge to carry out any kind of landscaping project. It will truly be a pleasure for us to transform your backyard into a piece of art. Phipps Landscape has been serving the residents of Rollinsford, NH for nearly half a century and we have countless testimonials from satisfied customers expressing their gratitude for our professional landscaping service. We are familiar with all the details of the region, from the local landscaping trends to the specific climate in the area. So we understand better than any other local landscape contractor how to fulfill our clients personal needs and preferences. Our landscape company applies an innovative and individualized approach toward each and every customer. That is a vital part of being able to set the highest standard in the industry and satisfy our clients’ needs. We are the only landscape company that can give you quality services, efficient performance, and all that in a timely manner – as well as at a competitive price. The plants and all building materials we use in our projects are of the highest quality. We have the necessary skills and proper tools to transform any yard into a beautiful, comfortable and environmentally-friendly place, where your family and friends will love to spend their free time. The children will also play in a clean and enjoyable environment. 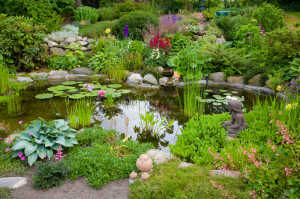 A garden touched by an expert landscaper would be a priceless investment. Our company is licensed as a Hardscape installer (ICPI) and we also have a certified arborist and a certified salt applicator at your service who can ensure the health and safety of individual plants and trees in your garden. We have all that is needed to make your dream a reality. So give us a call and share with us your vision of the perfect garden and we will help you plan the project. We will be happy to answer any other questions you might have regarding our services.